It seems that Joan Rivers is not the only plastic surgery freak with the audacity to sell beauty products on TV. Let me humbly suggest that the good doctor achieved his facial transformation with something a little more powerful than jarred face cream. (See more pictures of him on Google images). The name “Stem Cell Therapy” most likely was chosen to cash in on the recent publicity (and controversy) over embryonic stem cell research, even though this product doesn’t seem to have anything to do with that. The medical science breakthrough most eagerly anticipated by Beverly Hills hags and Manhattan crones alike is that a plantation of human embryos would be constantly harvested to ensure they look youthful for all of their soirées. (Either that or something to re-animate their pet lap dogs.) By slapping the name “Stem Cell” on a jar, Dr. Feder will convince them that their day has finally arrived! I don’t know why these ads seem to put down cosmetic surgery, considering what a fan Dr. Feder is of the procedure both professionally and personally! I like how Liftight talks about the REAL SCIENCE that powers it. I love the irony of these adverts – the way all these beauty products invariably make the models look more terrifying in the “after” pictures than “before”? Thank you, thank you, thank you! 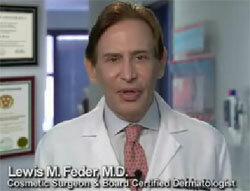 I HATE this skin cream commercial and I especially despise Dr. Feder because he is the biggest fraud on TV. Imagine being a physician, taking an oath, and then throwing around the words “stem cell” to sell wrinkle cream. Charlatans like him have been pullilng scams like this for 1000 years. His plastic surgery is so obvious — what kind of sucker would buy that stuff — but it must sell because the ad still runs. Again, thank you. I did a bunch of stories on my website about this guy and I was happy to see that I was not alone. LOL! 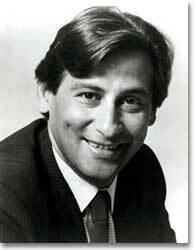 You know, I was in that sleazy informercial for Dr. Feder (with Richard Bey) back in the 90s. He was a horn dog and all over some blonded girl in the commercial. Anyway, I actually like the stuff back then. But, they did tell me to speak about breakouts and I never, in my life, had acne. I did use the cream, but never went through any sort of skin issues . . .
Shame on him……and anyone clueless enough to get sucked into his snake oil schemes! I rememeber Dr. Feder from the informercial of the 90’s. His product was, in his own words for “mild to moderate acne” and I was so excited to try it out…it was July and I wnatred to use it in hopes that my face would clear up for my senior year. Unfortunately it did absolutely nothing, and my acne wasn’t even that bad! The most it did was soften the skin, and get rid of one pimple, only to have 2 more appear. Huge Disappointment but he was more convincing that the AcneStatin old lady. But to a 17 year old girl that just wanted clear skin for High School, it was devastating. If you had acne in the 90’s you either had to go on vacation to Europe and use Accutaine where it was legal, or wait it out. It really is a shame he’s a plastic surgeon and feeding into the entire Hollywood concept of beauty. Very interesting to read about this man. I was prompted to read about him after his stem cell therapy cream was discussed recently by a noted Australian sugeon. He described the claims made on the packaging about the cream’s content as fake. Interesting. Amazing how this scam artist stays in business for decades. I’m a recent victim, who paid for a 3 zone Botox treatment in his scary looking Manhattan office, was injected with stuff that had nothing to do with Botox, the effect of which I’m very well familiar with. Later, I read reviews from many other patients who have been scammed by Dr Feder out of their money with his fake Botox injections. I really wish I’ve dome more research on the crook than reading his own website. most of u are poor, uneducated nobodies who are jealous of a handsome, educated Fifth Avenue physician. This so called Marina is the lowest of all who could be sued for libel and slander, but she hides behind this site. He is atop board certified physician and all u nobodies should have your mouths washed out! You are all a bunch of jealous losers!!!. This is obviously an attack by competitors or enemies who realize Dr Feder is an extrodinary doctor and the only way to create an even playing field is to slander him. I’ve been a patient for many years and he is just excellent and I use many of his products. This is disgraceful and an outrage. I don’t know what kind of vendetta you have against this Dr. Feder – he’s a board certified dermatologist whose been practicing forever at a very chic Manhattan location. But, though I was never a patient, I am familiar with Stem Cell Therapy. It’s a high quality skin cream and it doesn’t contain any stem cells or use embryos or any of the phony “facts” you’ve somehow concocted about it. He endorsed it because its ingredients are clinically proven to help re-activate aging skin stem cells (along with two other dermatologists who endorsed it as well). Its main ingredient has actually had a recently published study by a leading stem cell researcher that proves it actually does what it claims. Even that Sta-Tight product has a polypeptide that does work on the same muscles in the face as Botox and has an effect within days. I know this for a fact, so whatever your personal animus against the doctor is, don’t throw around insults about products you know nothing about. Mail order ads always use hyperbole, but when they sell a product that actually works you should applaud it and not insult it with phony science. How can I take your criticisms seriously when I see how you leave reality behind just to take revenge on a doctor you have a personal issue with? Dr. Feder is still around?? I met him a few times in late ’80s & early ’90s. Incredibly self absorbed & cheap.